Gold Cup tickets for the Kansas City Group Stage matches will allow fans access to Group D games Trinidad & Tobago (TRI) v Guyana (GUY) as well as Panama (PAN) v United States (USA). 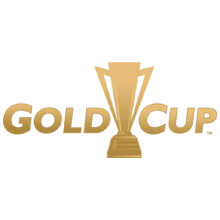 Be there live June 26 at Children's Mercy Park for the 2019 CONCACAF Gold Cup Group Stage with PRIMESPORT. Purchase your official ticket and hospitality package today so you don't miss any of the action on the pitch next summer!